Mr Bartlett is an epidemiologist with experience in pharmacoepidemiology, infectious diseases and the design and establishment of large scale studies, including record linkage studies. He is Director – Data Management & Analysis, Research Assets Division at the Sax Institute. He currently works as an epidemiologist managing data and analytics for two large longitudinal research cohorts managed by the Sax Institute (the 45 and Up Study and SEARCH). He also managed the Analysis for Policy Program, a program aimed at assisting policy agencies to define and implement research studies which will inform priority policy questions. 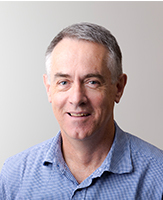 Mr Bartlett has previously worked as a pharmacoepidemiologist and in local and state-wide surveillance of notifiable infectious diseases and has extensive experience in infectious diseases public health policy and management, surveillance processes, case definitions and data capture.